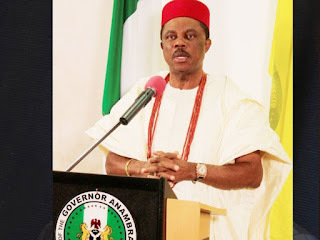 It has come to our knowledge that the Nigerian government in conjunction with the Anambra state government led by Willie Obiano, has concluded plans on how to deploy people from other states and from nowhere to come and vote during the November 18 Anambra governorship election. This corrupt agenda is a calculated attempt to ensure that they achieve a maximum sixty percent votes as demanded by the United Nations (UN). This is because they know fully well that Anambra residents will sit at home come November 18, in order to boycott the election as a means of registering their displeasure with their continued existence with the Nigerian State. Therefore, the Nigerian politicians are doing everything humanly possible to ensure they get the required number of votes to help them frustrate the impending #Biafra-referendum. But they are unaware that we already have credible sources that usually inform us about their evil plans against the people even right before they begin initializing them. This time, they have failed again. Because we have taken adequate measures to ensure a hundred percent boycott of Anambra election. And trust me in no distance time after Anambra election Biafra referendum will follow suit.